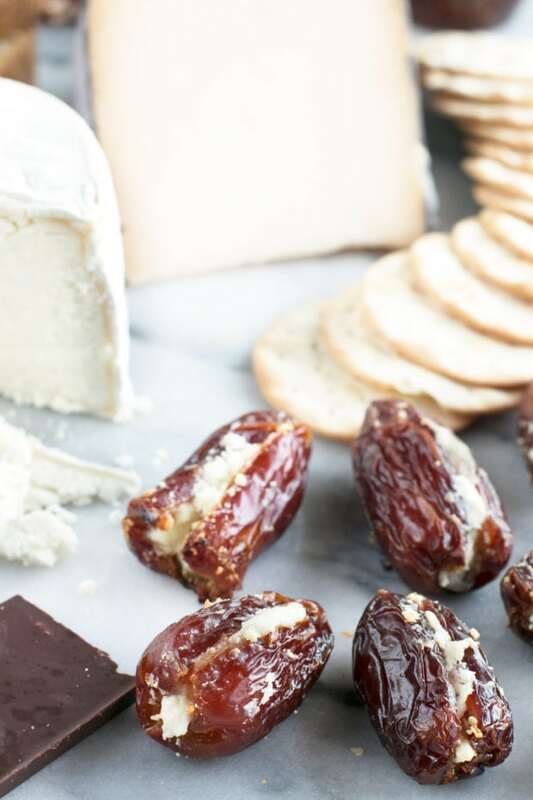 This Sweet Goat Cheese Valentine’s Day Cheese Board featuring homemade Truffle Goat Cheese Stuffed Dates is a show-stopping board of delicious textures and flavors. It doesn’t matter if you are having a sweet night in with your boo, hosting a dinner party or hanging in for a night with your pals, this incredible cheese board will tickle everyone’s fancy! Disclosure: This post is sponsored by Cypress Grove! 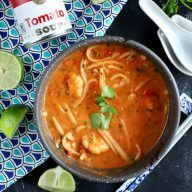 While I was compensated and given product in exchange for this post, as always, all opinions and the recipe are my own. Thanks for supporting the brands that support Cake ‘n Knife! Goat cheese is my favorite cheese. I don’t care how it’s used, if I hear that something has goat cheese in it, my ears perk up immediately. Goat cheese on that pizza you say? Sign me up! Goat cheese ice cream? Ummmm YES. 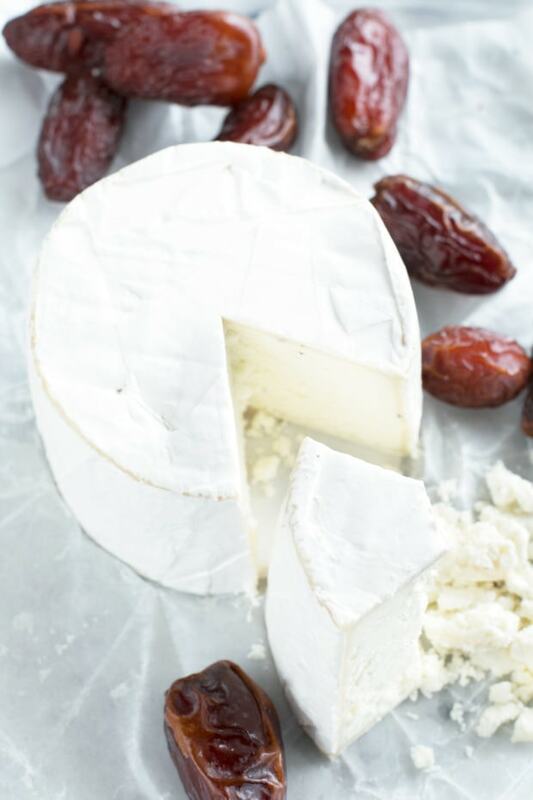 Despite it’s tangy nature, goat cheese actually goes brilliantly with sweeter flavors. Thus the reason that goat cheese stuffed dates are such a favorite in the party appetizer world. 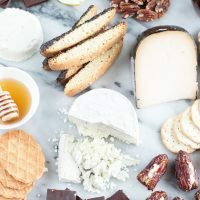 This goat cheese-focused cheese board is a gorgeous centerpiece for any occasion, but especially for Valentine’s Day because of the sweet elements that are included. Honestly it’s just a giant adventure on a cheese plate. 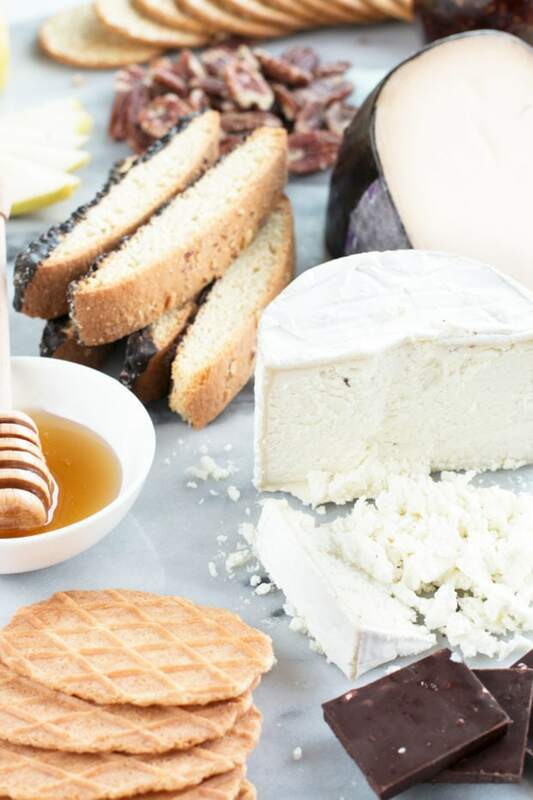 What better cheese to center the board around than the amazing goat cheeses from Cypress Grove?! If you don’t know about Cypress Grove and their incredible goat cheeses, you are truly missing out on the best of the best. 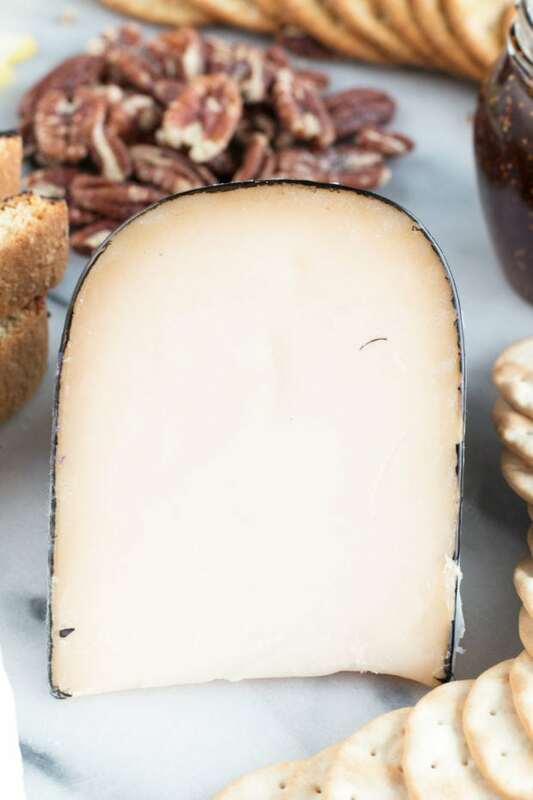 I first fell in love with their cheese when I tried their Humboldt Fog goat cheese, but my oh my…. 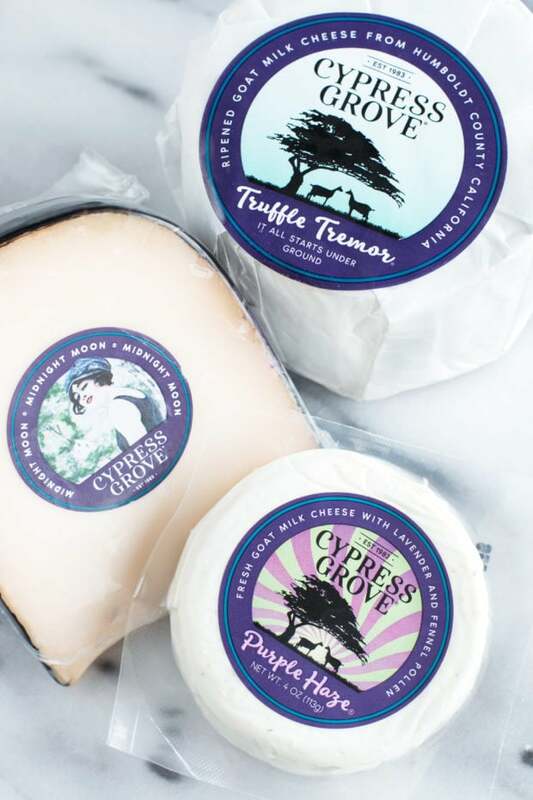 there are so many other cheeses to explore in the Cypress Grove collection. 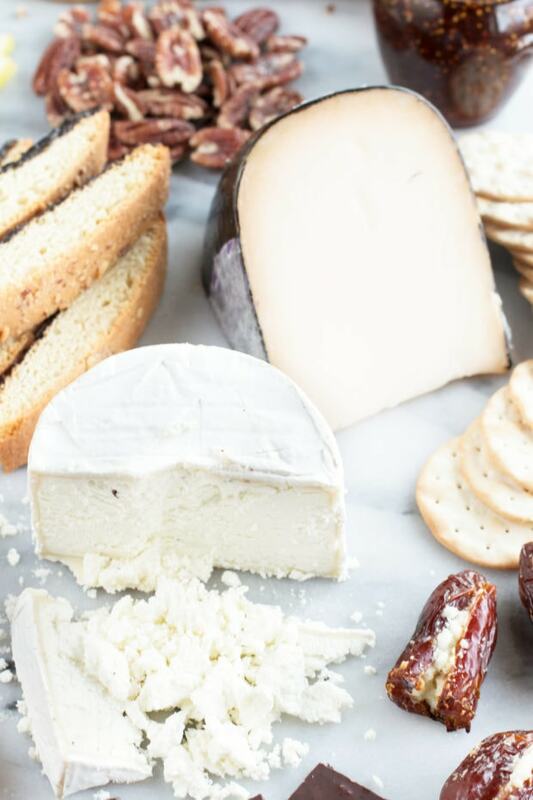 This particular cheese board is centered around three of my favorite cheeses (you know, aside from the one that started it all of course…). First is the Truffle Tremor, which is also the soft cheese that I stuffed inside the dates you see here. 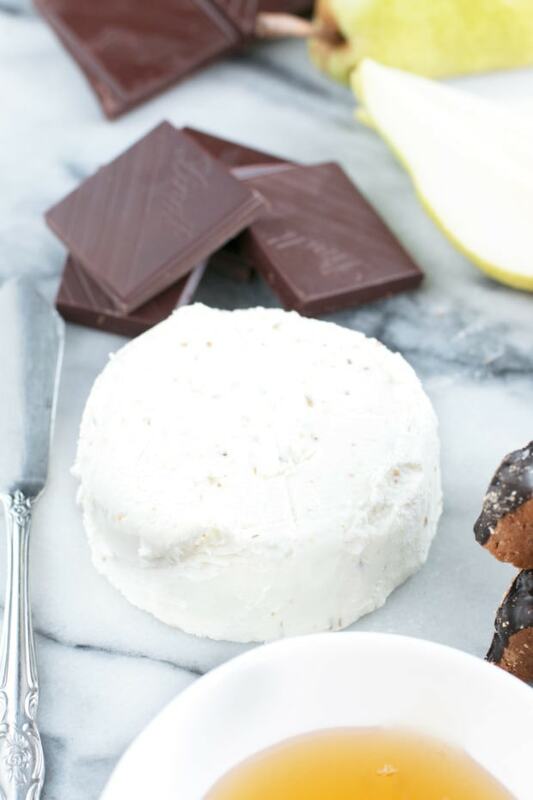 The subtle truffle flavor gives the goat cheese and incredible sultry depth. I highly recommend pairing it with honey for a touch of sweetness. Second is the Purple Haze disk that has lavender and other herbs mixed in. It’s light, fresh and slightly perfumed, making it amazing when spread on some freshly sliced pear. Finally, we have the Midnight Moon. I don’t know what else to say about this aged cheese except that I FREAKING LOVE IT. Even if you don’t love traditional goat cheese, this aged goat cheese will have you hooked in no time. 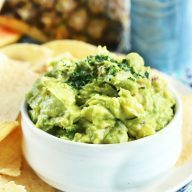 The strong tangy flavor is very subtle, and it also reminds a bit of a gouda in a way. It’s, simple put, amazing. Whatever celebration you have planned for Valentine’s Day next week, just do me a favor and make sure this cheese board is in the plans. Everyone will thank you for it (assuming you want to share it with anyone that is… 😉 )! Premium 4-piece set of Brushed Stainless Steel Cheese Knives to cut up all the cheeeeeeese. Nordic Ware Natural Aluminum Commercial Baker’s Half Sheet for baking your stuffed dates on! 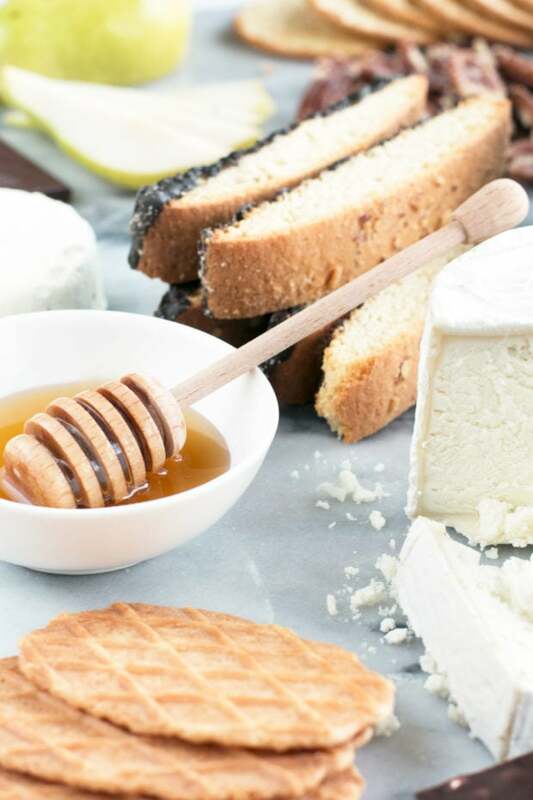 Pin this Sweet Goat Cheese Valentine’s Day Cheese Board recipe for later! 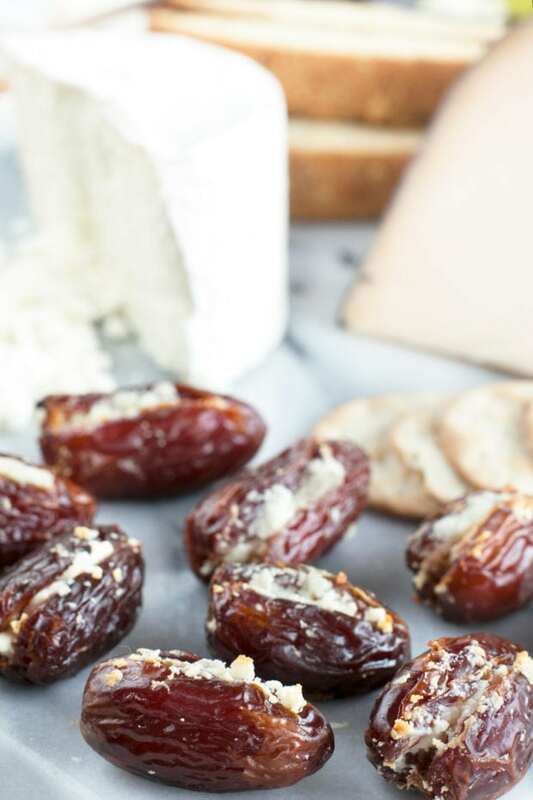 Really wow your sweetheart, or even your gal pals, with this incredible spread of goat cheese, stuffed dates and sweet and salty snacks! 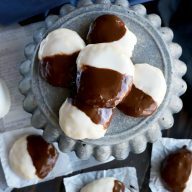 For the Truffle Goat Cheese Stuffed Dates: Preheat oven to 375 degrees F.
Make small incisions lengthwise into each date. Remove the pits. Stuff each date with 1 tsp Cypress Grove Truffle Tremor Goat Cheese. Add each date, cut side up, to a rimmed baking sheet lined with a silicone mat or parchment paper. Bake 10 to 12 minutes. Serve warm. 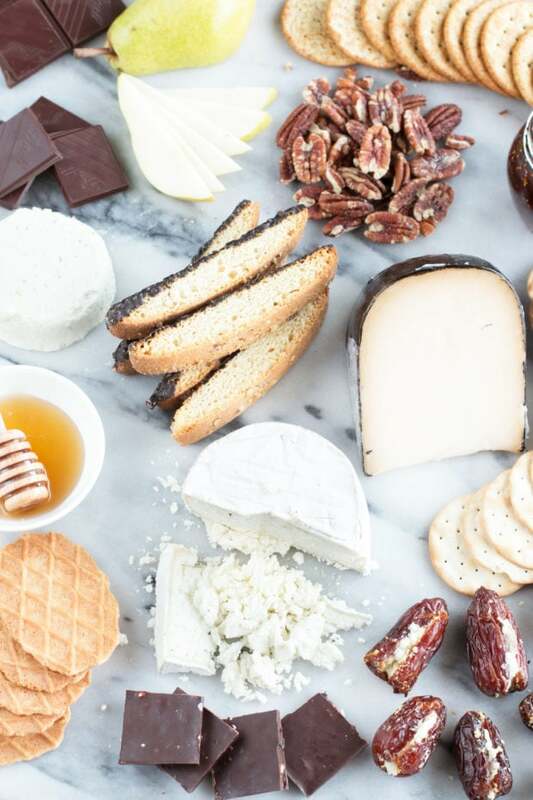 For the Sweet Goat Cheese Cheeseboard: Arrange all the ingredients for the cheese board on a large platter, piece of slate or slab of marble. Make sure to set out little plates, cheese knives and napkins!